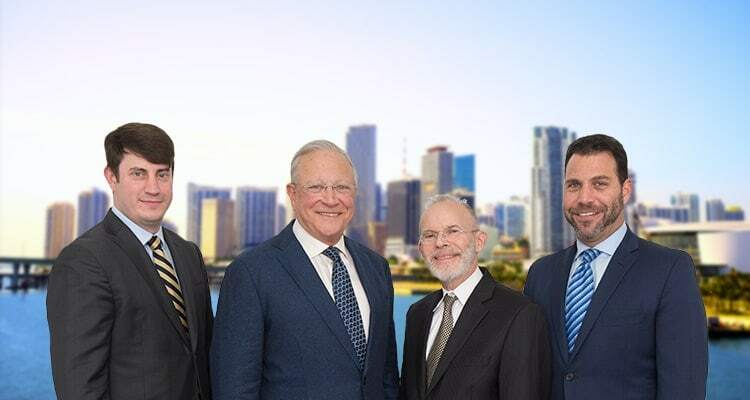 Contact Aventura, Florida Injury Lawyers Gerson & Schwartz, P.A. One of the most common injuries sustained in accidents is a broken bone. If you slip and fall, you might fracture your wrist. For the elderly, falls are a leading cause of broken hips. If you are in a car crash, you may experience several broken ribs, a broken collarbone, or fractures in your arms and legs. While some broken bone injuries heal relatively easily, more complex fractures may require surgery, months of recovery, and still leave you with a physical limitation. In these circumstances, it is even more crucial that you work with a personal injury lawyer in Miami-Dade County at Gerson & Schwartz P.A. We are highly experienced in pursuing compensation for bone fractures. We will aggressively fight for you to receive the maximum financial recovery possible. Call us today at (877) 475-2905 to schedule a free consultation and discuss your bone fracture case. Bones do not always break the same way. However, there are a several distinct types of fractures. A broad category of a bone break is whether it is displaced or non-displaced. In a non-displaced bone fracture, the two ends of the bone line up. This is also called a stable or simple fracture. In a displaced fracture, the two ends of the bone are not in a straight line. Transverse Fracture: This is a horizontal fracture in the bone—in other words, the fracture is perpendicular to the shaft of the bone. Oblique Fracture: This is an angled fracture pattern in the bone. Comminuted Fracture: The bone breaks into three or more pieces. Buckle Fracture: The two ends of the bone are compressed together. Greenstick Fracture: The bone is bent, but the fracture does not go all the way through the bone. Stress Fracture: This is a hairline crack in the bone. Additionally, you can have a closed fracture. In a closed fracture, there is not a skin wound and the bone does not pierce the skin. In an open fracture, the bone breaks through the skin. It may or may not be visible through the wound. This distinction is very important when you receive medical care because an open fracture creates a serious risk of infection in the bone. If you believe your broken bone was caused by another person’s negligence, careless, reckless, or willful behavior, call our broke bone injury lawyers in Miami for help. We will investigate the incident for evidence of negligence. If you have a valid personal injury claim, we will represent you in pursuing compensation and file a lawsuit on your behalf. The severity of a broken bone depends on the location and type of fracture. In some cases, bones can heal with immobilization, time, and pain management. However, not all fractures are simple and will heal with a few weeks or months with a cast. Many fractures require reduction, which means placing the broken bone back into the proper place. Many bones are set through closed reduction. However, more complex breaks may require open reduction, which means surgery. When surgery is required to set your broken bone, the physicians may use plates, pins, screws, rods, and glue to hold the bone, or pieces of the bone, in place. These tools may be left in place for weeks, months, or permanently to ensure the bone heals properly and remains strong. This procedure is often referred to as open reduction internal fixation. Whether you had a simple and easily treatable broken bone, or you suffered a complex fracture that requires surgery, months to heal, and physical therapy, call our bone fracture attorneys in Miami for help. We will work closely with you, your doctors, and experts to determine the financial, physical, and emotional impact of this injury. We will calculate the value of your claim and fight for you to receive fair compensation. For a simple break that has or will fully heal, you may focus on receiving full compensation for your medical pills and pain. However, if you suffered a complex break that needed a great deal of medical care and may require future treatment, or that left you with a physical limitation, the value of your claim may be much higher. It is essential you work with an experienced personal injury attorney in Miami. Gerson & Schwartz lawyers understand bone fracture cases. Our attorneys will to fight to protect your legal rights and obtain the maximum amount of compensation the law permits. After suffering a broken bone in an accident that was someone else’s fault, we recommend you speak with a personal injury lawyer about your rights. You may have the right to pursue compensation through a third-party insurance claim or a personal injury lawsuit. In either situation, you should have a veteran attorney by your side. To talk with one of our bilingual attorneys, contact Gerson & Schwartz P.A. through our online form or call (305) 371-6000 or toll free at (877) 475-2905.